Having a critical hair SOS? Don’t fret. From taming the unruliest of frizz, to restoring vibrancy to colour-treated tresses, DIY hair therapy is your saviour this spring. Free of parabens, sulphates and synthetic colouring, give your hair a well-earned chemical rest with these five simple do-it-yourself masks – homemade, natural solutions that guarantee to keep locks looking ultra-luscious this season. Move over Rapunzel! Suffering from dry, damaged ends, that are in desperate need of hydration? Substitute your favourite chip-dip for this super-enriching miracle mask. Combine 3 – 4 tablespoons of extra-virgin olive oil and half the pulp of an avocado. Slather on to wet hair and wait for about 15 – 30 minutes (dependent on your hair length and/or condition), and voilà! Intensely hydrated locks! 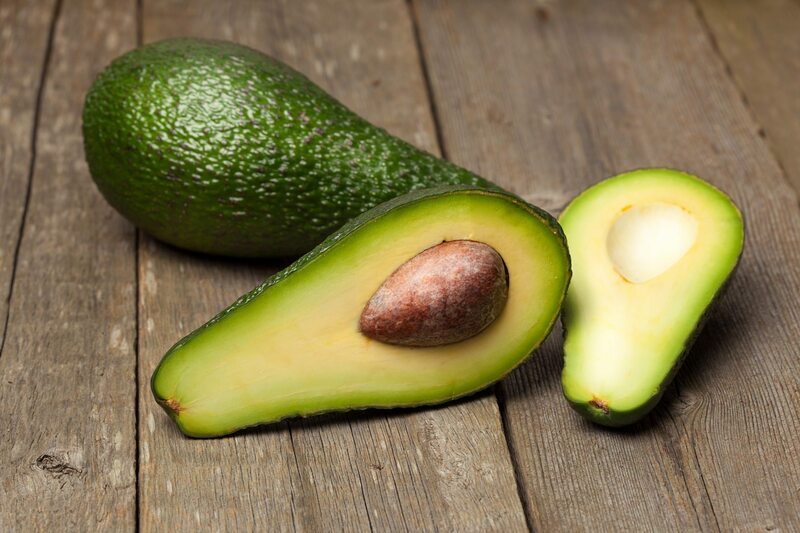 The natural oils deposited by the avocado deeply penetrate hair follicles, nourishing scalp to lengths swiftly. But best of all? Its fatty acids provide a protectant barrier from heat and harsh chemicals, meaning hair is softer and strengthened, and ready for your GHDs. From superfood to a super-spice, reinvigorate red hair with this beautifully aromatic cinnamon mask. 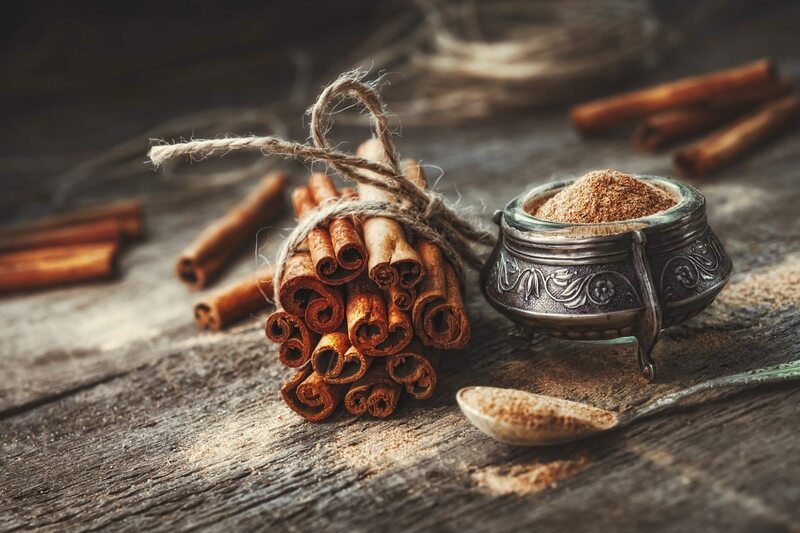 Use 2 tablespoons of ground cinnamon, combined with half a cup of warmed raw honey, and leave on unwashed, wet hair for approximately 1 – 2 hours (dependent on level of lightness desired.) This treatment will brighten the dullest of reds, enhancing tones through gently stripping the outermost layer of pigment. Honey contains low levels of peroxide, whilst cinnamon forms the active ingredient as a peroxide ‘booster’, working in tandem to naturally lighten dull, lifeless locks. Colour revitalisation that’s easy on hair, and even easier on your purse! For any product addicts craving a deeply clarifying hair treatment, go organic with this ultra-cleansing apple cider vinegar mask. Mousses, hairspray, waxes, dyes, conditioning treatments, and even certain types of water– you name it, they all can cause excess residue and scalp build-up, often leaving our locks oily, limp and generally pretty unmanageable. 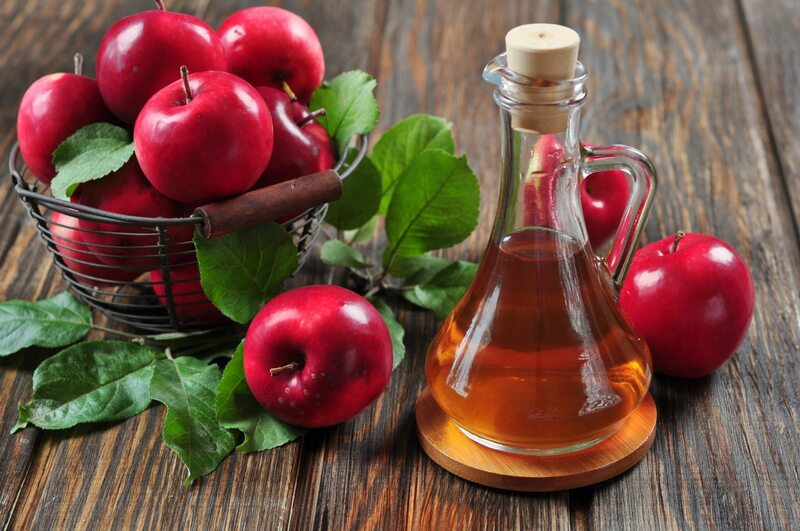 By simply combining 2 tablespoon of apple cider vinegar, 2 tablespoons of coconut oil, a tablespoon of water (depending on viscosity of mask) and leaving for 10 minutes on unwashed hair, product build-up, dead cells and pollutants are removed from weary tresses. But the real magic of this mask? Vinegar not only effectively combats residue blocking hair follicles, but its high concentration of Vitamin C prevents dandruff and encourages hair growth – it really is the ultimate hair detox. Thirsty for sleek, defined, curls, but having to contend with coarse, incontrollable frizz? 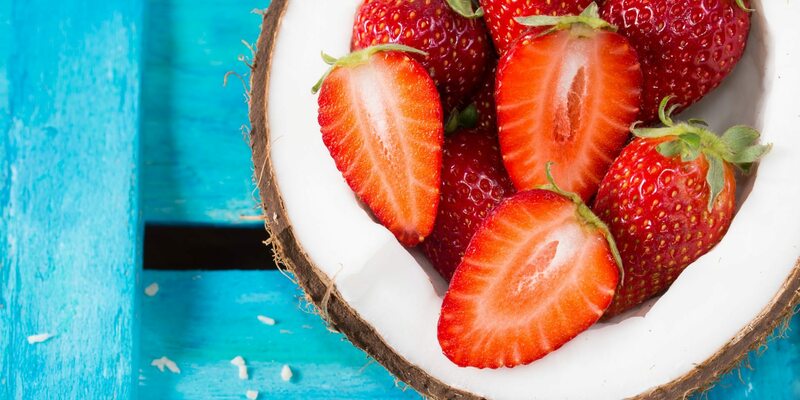 Try finely blending 8 strawberries, adding 4 tablespoons of organic coconut oil and a tablespoon of water to create a refreshing fizz-control hair mask. Leave to soak on washed hair for twenty minutes or longer (dependant on level of hair dryness). Similar to the clarifying qualities of cider vinegar, raw strawberry juice rids hair of excess sebum and any gunky leftover residues, smoothing its outer cuticles, whilst the coconut oil works by deeply moisturising dry hair, remedying the actual cause of frizz to leave locks polished, and positively shining! 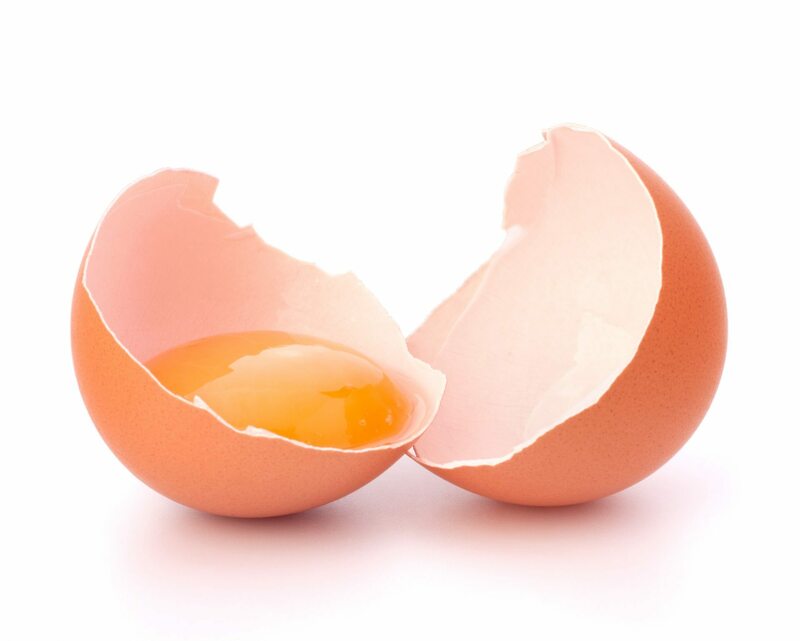 Last but not least, the super-strengthening egg yolk mask – a total all-rounder in haircare. Combine 2 egg yolks, 2 tablespoons of extra-virgin olive oil and half a cup of water, then massage onto wet, washed hair, leaving for approximately twenty minutes (mostly on hair ends). As a natural combatant for hair-loss, the high levels of both protein and lecithin within the mask will fortify limp, thin tresses, forming a chemical-free hair thickener. Additionally, vitamin E and fatty acids aid hair-growth and prevent breakage, nurturing its delicate balance of proteins – minimal ingredients, minimal effort, with maximum results. What are your favourite tips and tricks for glorious tresses? Share with us your comments on our Facebook and Twitter. Salon Gold also provides insurance for hair salons and freelance or mobile hairdressers. For further information, please see our Hair Salon insurance and Hairdresser Insurance pages.